15 April 2012 by . Stefania Caterina (S.C.): ‪We greet you, dear listeners! We wish to face a new topic in the context of the theme “Progressing into fullness”. We are speaking today of integrity of life and immaculateness. ‪These are two very important aspects related to each other, which arise directly from the offering of ones life. ‪In fact, to be immaculate and whole before God presupposes having given life totally to God, through Mary Immaculate. ‪Our integrity is manifested primarily in response to the call of God. God calls us to offer ourselves, this is the ultimate meaning of being Christians: to offer oneself to God together with Jesus, precisely as Jesus offered Himself. From the integrity of our response, the gifts of immaculateness and of the integrity of life spring out, which ultimately help us to become a new creature. Tomislav Vlašić (Tom V.): When we talk about immaculateness and integrity, we must immerse ourselves in the dynamism of grace and that of the path leading us into fullness, because for every step forward new horizons open themselves and new contents enfold before us. We will try, then, to present today’s topic by observing it from different angles, and this will require your cooperation. ‪We can not claim to be immaculate. ‪There is only one creature who is immaculate: Mary Most Holy. 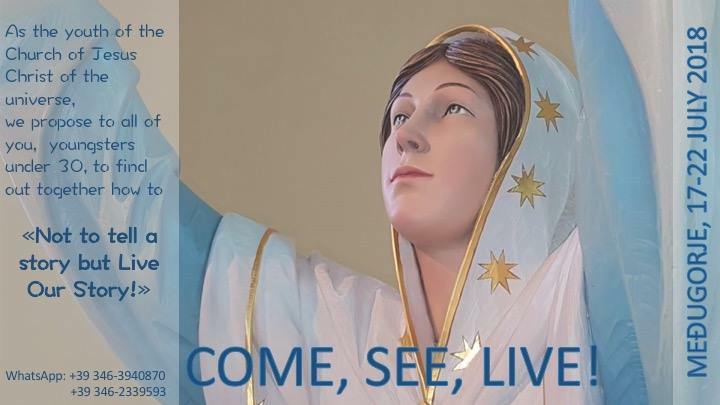 ‪We are on the way back to an immaculate life in Christ Jesus, through Mary Immaculate. ‪We know that the Gospel reached men of good will. ‪Therefore, all those who have never known Jesus Christ, are asked to have good will, in order to meet the truth. ‪God, who is the Father of all men, sends His Son to seek and find every person who wants to know the truth. ‪Good will is required even of us Christians who have been baptized. ‪If we are ready, if we share the life of God and keep walking, we will succeed in becoming the kind of people of which Holy Scriptures are talking about, particularly in the letter to the Ephesians: holy, immaculate, blameless before God. ‪We are created for walking in the light, away from darkness; no darkness can remain in us if we give our full response to God; we can be whole. Again, in the fourth chapter of the letter to the Ephesians, Saint Paul speaks about the adult man, the mature Christian, perfect, that is, he speaks about the one who belongs to the Mystical Body of Christ, to the Church of God, together with all those who belong to Christ. To such a man is guaranteed integrity and fullness of life. In my opinion, the immaculateness of man is the transparency before God, sincerity, sincere adherence to the will of God, without any ambitions that separate us from God, without deceit or hypocrisy, without those deviations that take us away from the life of Jesus Christ. ‪Mankind was created intact and immaculate by God, because God does not create anything wrong or disintegrated. God does not destroy anything. ‪In Jesus Christ the road to wholeness has been opened and to man was given the opportunity to access to immaculateness and integrity. ‪We are speaking about immaculateness as a gift from God. In fact, in baptism, the Lord gave us the gift of being blameless before God, He has placed within us the seed of immaculateness. ‪Thanks to our journey and the increasing involvement in the life of Christ, we are becoming ever more immaculate. ‪God increases this grace with each step we take. ‪Thus, after each step taken, the space within us becomes expanded in order to receive the gift of immaculate life, which is given us in Jesus Christ. ‪Our participation in the gift of immaculateness passes through Mary Immaculate, who is the only new creature, fully redeemed and immaculate from the moment of Her conception. She is immaculate also for Her participation in the life and sacrifice of Christ, and was assumed into heaven in body and soul to share in the fullness of life in God. God has given Her to us as the new Mother, Mother of a new generation, which will have its roots in the Immaculate Heart of Mary. ‪Therefore, the consecration to the Immaculate Heart of Mary is not simply a devotion, but is a necessary path. ‪Through Her, life without blemish is communicated to us. Thus, as a mother protects life from the very moment of conception and accompanies its development, so the Immaculate Mother, that God has given us, protects us and accompanies us, leads us to an immaculate and transparent attitude toward God ‪which we could not achieve alone, because of our sins and those of mankind. ‪S.C. : Let us not forget that Jesus himself, as man, had His roots in Mary. ‪The roots of the humanity of Christ are in Mary. I would like to expand the horizons and make a comparison between what happens on Earth and what happens on the planets that remained faithful to God and did not commit the original sin. ‪In these humanities the gifts of immaculateness and integrity are alive and active. ‪I had the opportunity, through different experiences, to talk with these brothers, who have always said to me that the offering of ones life to Jesus through Mary Immaculate, is the center of spiritual life and of every journey toward God. Without the offer of ourselves to God, we are not able to have an intact and pure relationship with God; this is very important. ‪These brothers say: “When we receive an impulse from the Holy Spirit, it seeps freely through our spirit, soul and body, and is immediately transformed into life. We fully accept that impulse because in the immaculateness and integrity of our life, we never put into discussion God’s word. What we are told, we put into practice. ‪For you people of the Earth this is more difficult. ‪When God gives an impulse to your spirit asking you, for example, a certain action or calls you to do something, since the genuine offer of your life is lacking and, consequently the integrity of the person and the immaculateness is not present, you immediately begin to argue. ‪You ask yourselves whether it is convenient or not to do what is asked, if it is the will of God or not, if it is a good thing or perhaps if it would not be better to do something else. These discussions pollute your relationship with God”. ‪The experience of these faithful peoples concerning the immaculateness and integrity is, therefore, that of the absolute offering of oneself to God, which originates from conception and develops throughout life. ‪Tom V.: We said that everything that comes from God is immaculate and intact, and that we can get to be immaculate and whole through full participation in the divine life. In the life of Holy Mary, this participation starts from the very moment of Her conception. God granted an extraordinary grace to Mary, in order to prepare a Mother for His Son and for all His children. ‪We believe this, but sometimes we do not understand that the participation of Mary, who has been immaculate in view of the death and resurrection of Christ, took place from the moment of Her conception, by means of Her yes. ‪I remember well, that one day Saint Michael explained to us, that at the moment of Her conception, Mary was before God, and that Satan also presented himself to tempt Her. ‪Mary, however, with a simple glance of the soul, rebuffed him into hell. ‪The Blessed Mother adhered fully to the divine plan, accepting Her identity and Her mission in God. She participated with Her whole being, by opening Herself to receive every grace: in particular, the grace to receive Jesus Christ in Her womb, the grace to accept the offering and the sacrifice of Jesus Christ and that of being united with Him and offering Herself with Him to the Father. ‪All this prepared Her to be the Mother of us all, and paved the way for Her glorification into heaven. ‪Let us take a closer look at Her participation in the life of Christ. ‪These days, the liturgy, in the Acts of the Apostles, reminds us about Saint Peter’s proclamation in Jerusalem. ‪Saint Peter did not mince any words nor did he rely on human means; he was authentic because he was at the presence of the Risen Christ, and the Risen Christ expressed Himself through Saint Peter’s whole being. ‪The same happened with the other apostles. ‪The unconditional acceptance of Jesus Christ and His journey, the passing through His trials up to welcoming Him Resurrected, allowed the apostles to manifest the power of Jesus, who had conquered death and evil within them and around them. ‪Their example and their testimony are very important to us. ‪We can not enter into God’s integral life, nor can we find our identity in God, the bliss, the fullness, without a pure and disinterested participation, free from all ambition, without stripping ourselves from selfishness, and without a real desire for God. ‪S.C. : When we talk about immaculateness, almost always we think about the sexual or moral sphere. Immaculateness, however, is something much deeper: it is above all the purity of intentions before God, the righteousness of conscience. ‪This is what permits us to be whole, people not divided within themselves, but coherent with our identity and with our mission. ‪Returning to Mary, I would like to speak to you again of the experience with the brothers of the planets faithful to God, who recognize Mary as Mother and Queen of the Universe. ‪Often, speaking of the Blessed Mother, these brothers emphasize the uniqueness of Mary, of Her person. ‪To them, Mary stands above all other creatures, not because of some power, but because She is already the new creation, the model, the seed, the pre-figuration of what one day we all shall be. ‪Of course, Holy Mary, as we said, also has very special prerogatives, because She carried in Herself the Son of God. ‪Our brothers of the faithful planets explained to us that the soul of man possesses certain faculties, or powers, which are significant and necessary to man, in view of his mission to govern creation in God’s name. I am not going to list these faculties of the soul, which are eight and are used by these men to act on the matter or, in any case, to interfere with reality. ‪These brothers explained to us that these eight faculties of the soul were all fully developed and activated within Blessed Virgin Mary. ‪In men of the Earth, however, only one or two faculties, at the most, are developed and operating. They exist in each one of us, but are dormant, blocked by the consequences of original sin. ‪God did not allowed them to be operating because the earthly man, in his malice and hostility toward God, could have made a terrible use of them. ‪Holy Mary, on the contrary, possessed them all and they were very powerful in Her; however because of Her humility She never used them, in order not to offend anyone, not to place Herself above anyone, in order not to make those around Herself feel inferior to Her. ‪She always presented Herself as the handmaid of the Lord, and as such She lived. ‪This is another sign for us that speaks of Her purity before God, of Her total lack of ambition. ‪Jesus did the same during His passion, He stopped one of those who were about to take out the sword, by saying, “Do you think that I can not appeal to my Father, and he will at once send me more than twelve legions of angels”? Jesus, not even at that moment, used His power. This recalls us to immaculateness, to receiving the gifts of God not to exploit them, nor to dominate others, but in order to serve. ‪Tom V.: Speaking of the gifts of God, based on experiences with the faithful brothers and also by talking with people, I can affirm that on Earth there is a great confusion. 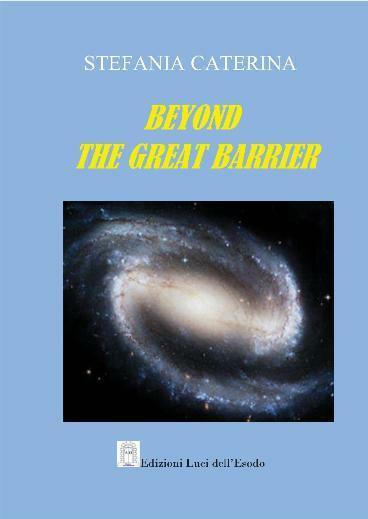 This because the memory of man on earth is awakened with great difficulty. It runs easily after powers in order to dominate, it always tries to emerge on top of everyone, it becomes attached to the gifts of God. From this point of view, the different interpretations of history and of the future, as well, render God’s plan dirty and alter reality. ‪In contrast, among the brethren faithful to God there is a perfect remembrance of the events from the very moment of the creation of their humanity. ‪S.C. : This aspect has been explained to me by Saint Raphael the Archangel, who stressed the difference between the humanity of the Earth and the faithful humanities. You know that the origins of our humanity are still shrouded in mystery. ‪It is not known with certainty when and where the first man appeared, which civilizations might have followed one another. ‪Archaeologists and scholars look everywhere for traces of the passage of man and his history. ‪It is an evident lack of memory of the past: we do not know who our ancestors were, how they lived, what really happened on Earth in ancient times. ‪Having no memory of the past, we can not even understand this present time, and we can not know the future; we are lacking a whole series of knowledge that is at the foundation of other knowledge. ‪On the faithful planets, however, men know their history very well, from the origin of their humanity. The experiences of their ancestors ‪are passed on, to which is given great value. These men remember perfectly what has happened over time. ‪Accordingly, the present is clear and it does not escape their understanding. They possess a comprehensive view of the future, of the destiny that awaits that humanity, they know how to walk towards the new creation. ‪I think it is very important for us to live an authentic and living relationship with God, even to recover the memory of what we have been, of who we are and of who we will be. ‪Tom V.: I want to get back to what Stefania was saying earlier, namely that the Blessed Mother has never used the powers of Her soul because of Her humility. I would like to discuss further, with you, what it means not to use these powers out of humility. ‪So what did Mary use to overcome evil? ‪Her most pure faith, Her genuine hope, Her perfect love. ‪This is the problem of Earth: people do not allow God to get involved in their lives, they do not want to be led to discover the clear roots of spiritual life. ‪They do not understand that faith in God goes beyond all abilities, powers, charismas, gifts and visions. Visions and messages, if we want to understand them in their true meaning, are nothing more than appeals, calls. ‪They serve to lead us along the same walk Jesus Christ took, silently, abandoned to the Father, buried into death, from which He emerged victorious. ‪These are the roots of the spiritual life! ‪Without these roots, man cannot become immersed in God, therefore He cannot be defined whole and complete. ‪In this regard, it is important to go back to the experience of our brothers faithful to God. I quote, in particular, brother Darius who is a doctor; he told us that on Earth it is difficult to find a man able to live a pure and free relationship with the Holy Spirit. When the human person experiences such a relationship with the Holy Spirit, he knows what to do at any time, he receives the power to put into practice all that the Spirit suggests. ‪Saint John the Apostle says that the Lord’s commandments are not burdensome; they become so if immaculateness is lacking. ‪Therefore, the consecration to the Immaculate Heart of Mary, particularly felt after the apparitions of Fatima, can not be reduced to a simple pietism or a private devotion. ‪The new generation must be reborn from the Immaculate Heart of Mary. ‪The new humanity will be reborn through all those participating in this program: going to Jesus through the Immaculate Heart of Mary, by participating fully in the life of Christ, in order to reach fullness. ‪S.C. : Let us not forget that Jesus Christ is the firstborn of many brothers, the first fruit of the new creation, the new man. The new history of humanity begins with Jesus, upon Earth as well as in the entire universe. In this prospect, Mary can not be seen as a marginal figure, because She gave life to Jesus. The flesh and blood of Jesus are the flesh and blood of Mary, we can not forget that; we should be aware of that even when we receive the Eucharist. ‪Consecration to Our Lady is a mandatory step for all those who want to be united to Christ. I hope you can feel the presence of Mary in your life, and invoke Her sincerely, because She is the Mother and the Queen powerful in faith, hope and love. ‪Tom V.: When I was in Medjugorje, I spiritually guided the prayer group requested by Our Lady. It was Our Lady Herself to teach the group, to show the group the steps to be taken, through the seer Jelena. ‪First of all She was teaching us to free ourselves from the inside, from sin and fear, entrusting those feelings to the Lord. She taught us to enter into a free inner space, in order to sense the Holy Spirit in us. ‪I wish to emphasize that the commitment to clear our mind from the burdens of life, from rancor, revenge, from feelings of guilt towards ourselves and towards others, from all the negativity that has nested in many layers of our soul, is up to each one of us. I can guarantee you that if you immerse yourself in your heart searching for the living Jesus Christ, you will see your grave opening and Christ will resurrect in you. Life will ‪resurrect, and you may become immaculate and intact; if you will not do this, you will not be able to forgive. ‪The unhappy person can not preach the Gospel nor manifest redemption. ‪God gave us His Mother and He invites us to move forward through Her because She is Immaculate. In this journey no one can replace the other. ‪We can only help each other, by living in sincere communion, and by participating together in the life of Christ. ‪S.C. : For my part I add, that to be immaculate and a person of integrity, does not require many devotional practices or penances. What is really asked of us is the commitment to offer ourselves to God, that is, allowing the Lord day after day, to take place in us and to guide our lives. ‪Then He, who is the Holy One, will give us with His presence the gift of His holiness and His power, which is ‪immaculateness and integrity. ‪I think we are all aware that, on Earth, integrity is often lacking in people, the purity of intentions is lacking, and corruption seems to be advancing everywhere. ‪To remedy this, neither revolutions nor battles will be needed. ‪What is really needed is that we renew ourselves from within, and that we begin to be people that walk in the midst of reality and change it, through the living action of the Holy Spirit. ‪This is what was happening to the apostles, who passed by and healed, and said openly: “It is not us doing these works, but it is the name of Jesus that does this, His power within us, it is the working of the Holy Spirit”. ‪God calls all of us, wherever we are, to be His apostles, powerful in the Holy Spirit. No big works are required of us, we are called to great sincerity. ‪Tom V.: We want to conclude by recalling the feast of today: Divine Mercy. The Mercy of God surpasses all our borders, those of sin, limitations, mistakes, failures. ‪As in the experience of Saint Thomas, Jesus comes closer to us in order to be touched, and He touches our soul, He touches each one of us in order to heal us. ‪God comes to meet us to give us everything. ‪In order to receive His Mercy our response is necessary. ‪Thus, it is very important to have clear in our mind that God is helping us. This brings us to change our inner attitude; we become positive and full of hope. We can walk freely, with the certainty that we will become whole, complete, happy on Earth and even in eternity. ‪We hope, that you can seize this grace today. Thank you.